I have become a big fan of using the carne picada sold in our local butcher shop for taco night. 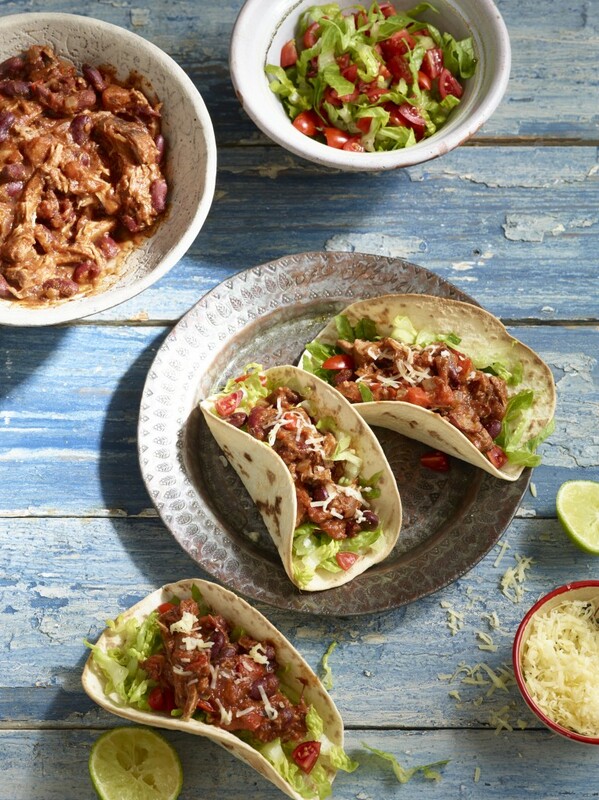 Marinated, thinly sliced beef, ready to cook that makes extraordinarily tasty tacos. Buying this product is convenient and gets a weeknight dinner on the table in a jiffy. However, I got to thinking. What exactly is this carne picada? Why can’t I make my own? And what other delicious dinners can I create using it? 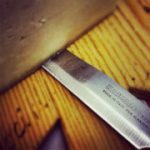 Other than, a great product that I buy from my local butcher that expedites getting dinner on the table, I really had no idea. After a little bit of investigation, I found that typically beef carne picada is thinly sliced chuck or tri-tip, although, if you want to make your own, you can feel confident thinly slicing any less expensive cut of beef. That being said, I should point out that we are keeping mostly within the realms of Mexican and Tex-Mex here. 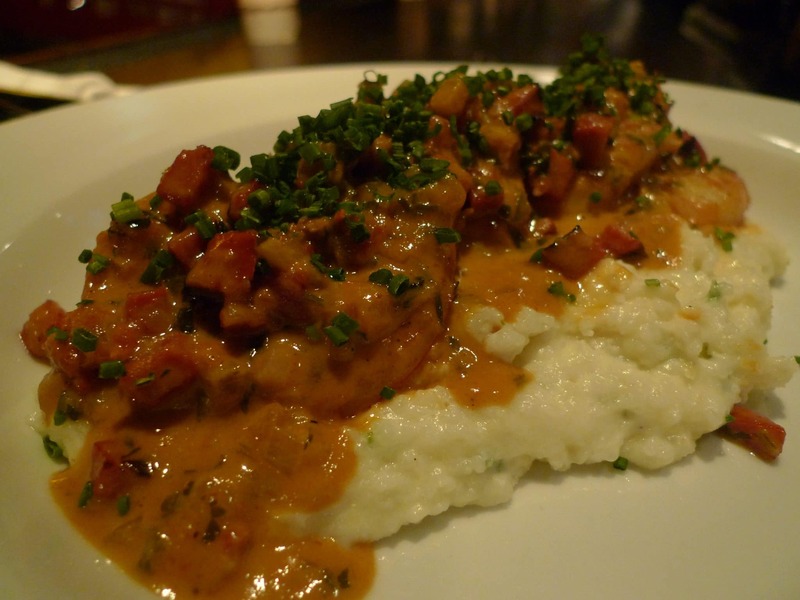 Versions of carne picada, most often using ground or minced beef will also be found in Columbian and Portuguese cuisines among others. If your local market or butcher doesn’t offer carne picada or you have some extra time and motivation, you can create your own. The first thing that you need to know is that carne picada is less about the specific cut of meat and more about the marinade. You might opt for chuck, blade, tri-tip, or even skirt steak (which used to be a lot less expensive before it became trendy). However, the spices and flavors that you will use are what will give your carne picada an air of authenticity. 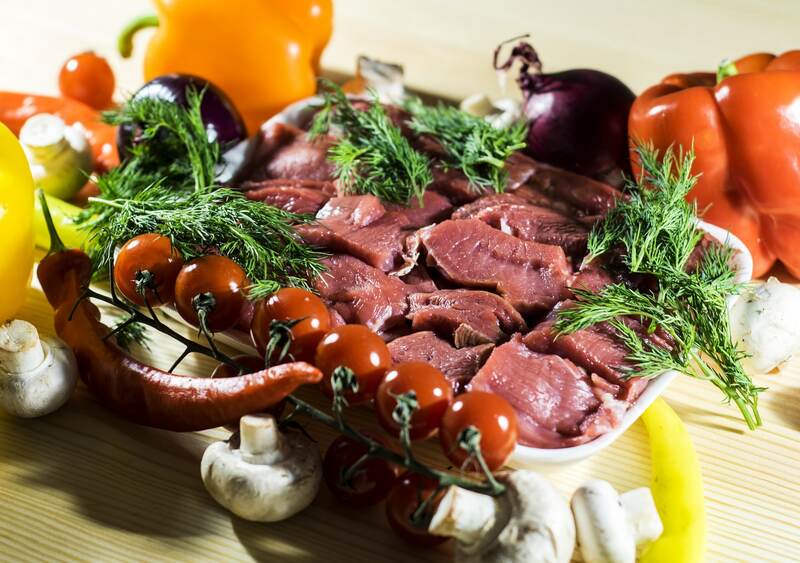 Once you have chosen your meat, you will want to slice it into thin strips. The key here is that you want to be sure to slice your meat against the grain to ensure that you have the most tender meat possible. 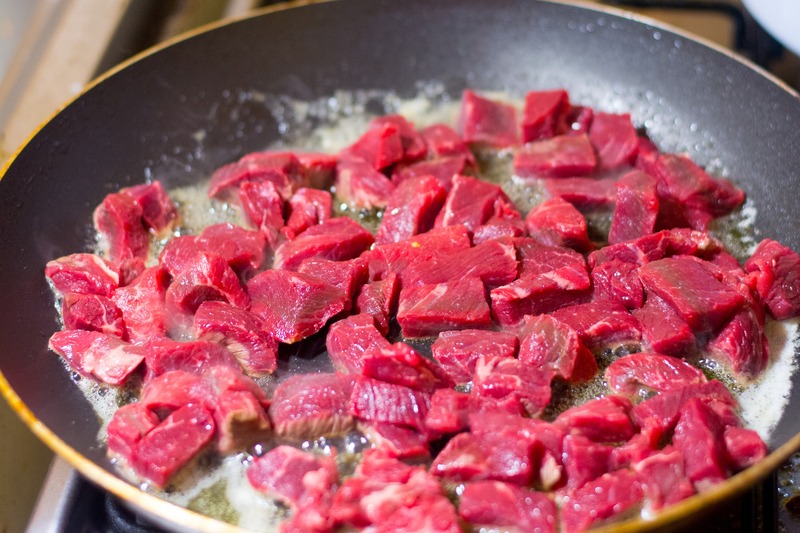 Cutting against the grain shortens the muscle and tissue fibers of the meat making it more tender and easier to chew, particularly with the types of beef suggested for carne picada. If you are unsure or would like more in-depth instructions the video linked above is a great one! 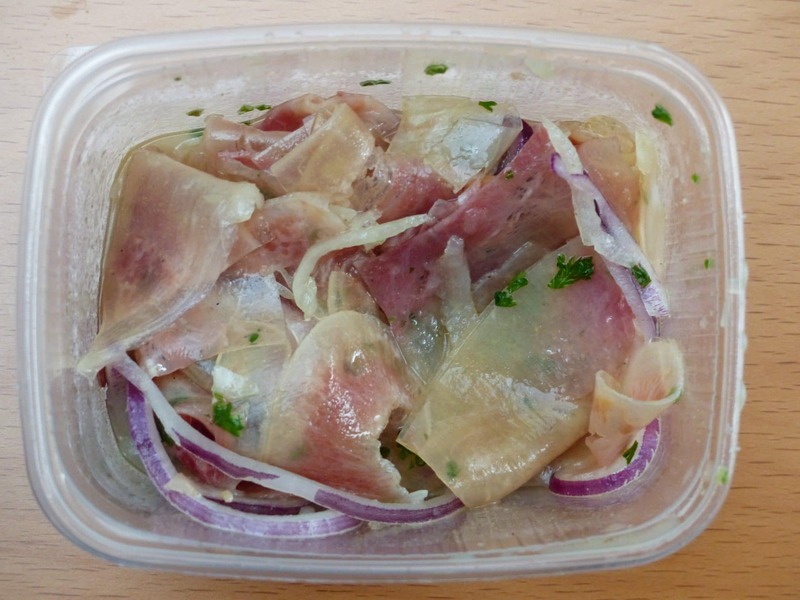 Once you have it all sliced, toss the meat strips with freshly minced garlic. After mixing the beef and garlic well, add a dry spice mixture that includes ancho chili powder, toasted and ground coriander seeds, ground cumin, dried Mexican oregano, brown sugar, salt and freshly ground black pepper. The meat should then be covered and left to marinate in the refrigerator for at the very least one hour, but ideally overnight. When all of those beautiful flavors have had the chance to rally around the beef and do their work, there are seemingly endless applications to be tried. And there I was taking it for granted and using it solely for my quick and easy, hectic weeknight, get dinner on the table dish. Experts all appear to agree that depending on what you want your result to be, carne picada should be quickly pan-fried, grilled, or, my personal favorite, low and slow braised. You should try each method and find the one that works best for you. Each has its own merits. Begin by medium dicing some onions and bell peppers. Heat 2 Tbsp. of avocado oil in a large skillet over medium heat. Add your onions and peppers and saute just until you start to see a little color. When your onions and peppers begin to brown, toss in your meat, stirring occasionally. After four to six minutes your meat will start to brown on the edges and be cooked through. Heat your charcoal or gas grill for about 15 to 20 minutes. While your grill is coming to temperature slice up some onions and bell peppers. Completly cover the heated grill grate with a sheet of heavy-duty aluminum foil brushed with oil. Spread your meat, onions, and peppers in a thin layer on the foil and move the meat once or twice while it is cooking. You may have to work in batches if you are feeding a crowd. After five or so minutes your carne picada should be good to go! Toss your marinated meat with 2 to 4 Tbsp of seasoned AP flour. Heat 2 Tbsp of avocado oil in a heavy bottomed pan over medium high heat. Quickly brown the meat working in batches. To your crock pot add medium diced onions, peppers, and fresh or canned tomato. Layer your browned meat on top of the veggies and add just enough beef stock to cover. Set your crock pot to low and cook for up to 6 hours. You may also expedite this by starting on the high setting for 2 hours. For my previously mentioned weeknight taco special, I use the following ingredients in my crock pot. I marinate my meat overnight, throw everything in the crockpot in the morning, set it to low and go about my day. After a long and busy day, something which you are probably familiar, the kitchen smells amazing, and I can heat up some taco shells, dice up some avocado, open a package of shredded cheese and have dinner on the table in no time! During my research and development on the subject of carne picada, I added something new to my repertoire. Fajitas! Of course, we had had fajitas many times while eating out but I’d never gotten around to trying them at home. I went for it using all of the ingredients that I use for my slow cooked taco meat, minus the tomatoes. However, for the fajitas, to mimic what we had had while eating at our favorite Tex-Mex joint, I sliced the onions, bell pepper, and jalapeno. I tried both the pan-fry method and the grilling method for fajitas and will say that I found that I prefer the pan-fry. First, it at least seemed quicker, although there is the pan clean up factor. Second, I didn’t notice any significant flavor enhancement that you will usually find when cooking meat directly on the grill. For my first try, I used the pan-fry method and served the fajitas with sliced avocado, fresh diced tomato, shredded cheese, and sour cream. I loved putting out the warmed flour tortillas with the other accompaniments and giving my family the interactive, build your own experience. My second fajita attempt happened on a somewhat quiet Sunday. I had some time and an excess of motivation, and in addition to using the grill method, I made guacamole and salsa which gives a much better result than merely dicing avocado and tomato. Although I wasn’t overwhelmed by an increase in the flavor of the grilled meat, I will say that warming the tortillas on the grill, as opposed to in the oven, did do something extra for me. Meat and potatoes. Sometimes life just requires a good hearty something made from meat and potatoes. 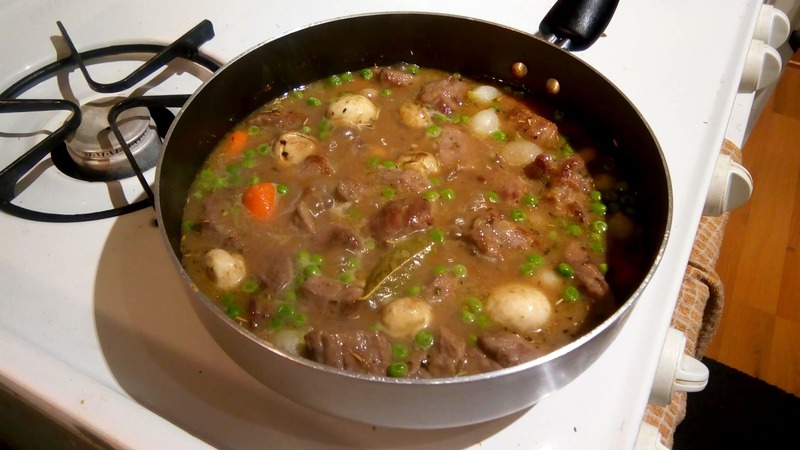 For many Americans and many people from around the world for that matter, a braised or stewed meat with potatoes is the quintessential comfort food. Which brings us to carne picada con papas and a couple of variations that you can dig into when a steamy bowl of comfort is in order. Add potatoes and cook for 10-12 minutes, stirring occasionally, until they begin to soften. Add onions, bell peppers, salt and pepper, and saute until the onions become translucent. Add the meat, tomatoes, and stock, cover and simmer for 6-8 minutes. Serve piping hot with warm flour tortillas or grilled crostini. 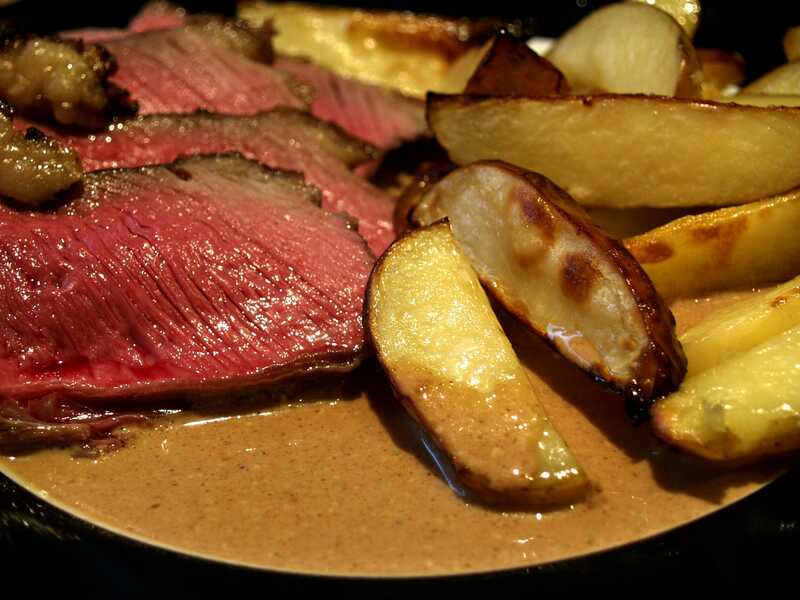 If time isn’t a concern and you can give the meat a slower cook and the potatoes a little more time to absorb all of the rich flavors, the following is sure to please. Toss the carne picada to coat with the seasoned flour. Add meat and cook until browned on all sides. About 5 minutes. Remove the meat from the skillet and transfer it to your crockpot. In your blender puree the tomatoes, onion, garlic and a cup of chicken broth until you have a smooth sauce. Stir this sauce into the crockpot. Stir in potatoes and serrano peppers. Cook the stew for 5-6 hours on the lowest setting. Just before serving, add the chopped cilantro and reseason with salt and pepper. 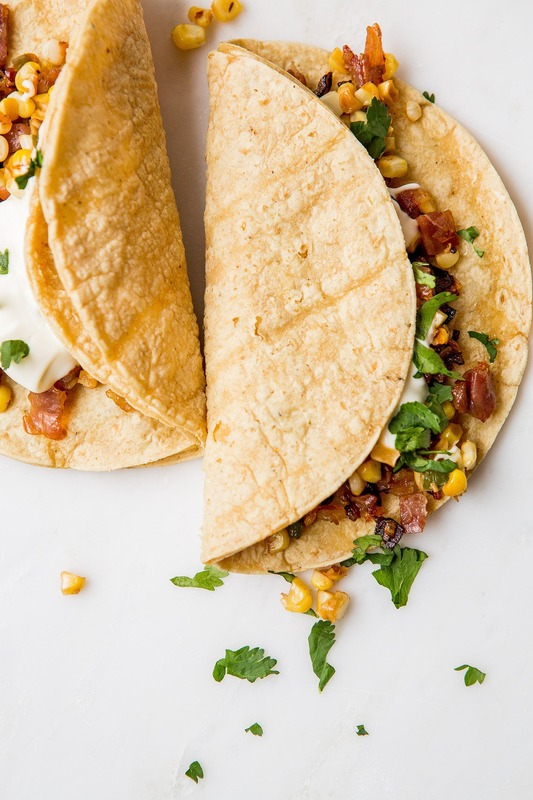 Serve hot over rice or your favorite grain, or with warm corn tortillas. Diverting slightly from our Mexican theme, I thought we might kick up our carne picada con papas with a little Mexican/Cuban fusion. One ingredient that you may not recognize in this recipe is bijol. Bijol is also known as achiote or annatto powder and can be found in any Hispanic market as well as online. It emits a unique flavor and color that may be familiar if you are already a fan of Cuban food. Saute the onion, green pepper, and garlic until the onion is translucent. Add salt, pepper, bijol, and bay leaves. Add tomato sauce and cook for about a minute. Just to heat through. Put your meat into the crockpot. Stir the remaining ingredients into the the meat and then top it all with your skillet sauce. Serve hot over white rice or with a crusty cuban loaf and refresshing avocado salad. If you are lucky enough to have a Mexican or Hispanic market or butcher shop in your neighborhood they will probably have an already marinated carne picada all ready to go for you. The only downside to that might be that you may find that it is sliced extra thin. In this link you will see a brief eHow video with a chef detailing the method for crispy frying extra thin carne picada. 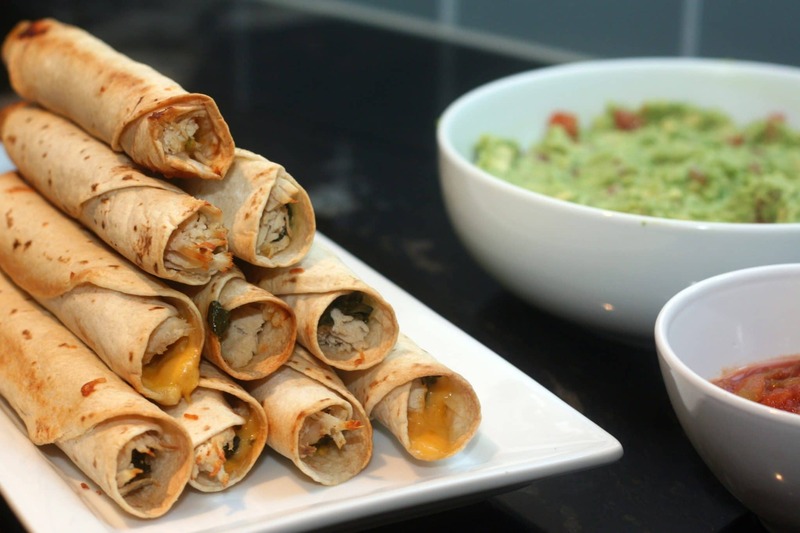 However, if you are going to do some frying, you might as well go full on and whip up some yummy and satisfying taquitos! In a large skillet over medium-high heat, heat 2 tablespoons oil. Brown the onions, about 5 minutes. Remove from the skillet and reserve. Reheat the skillet with the remaining vegetable oil. Stir in the diced tomatoes with green chilies. cook for 2 minutes. Add the cheese and cooked onions. Evenly divide the meat and refried beans among the twelve tortillas. Roll them up tightly and deep fry each taquito to a golden brown. Garnish with sour cream and shredded lettuce. My easy weeknight tacos using the carne picada from the local butcher will always be a family favorite and staple in our house. It is however always an enlightening experience to do some digging and find some new and creative ways to expand my repertoire around a seemingly simple, yet versatile ingredient. I am still feeling quite inspired and thinking about playing around with a recipe for carne picada chili. I hope that you have been equally inspired and will look forward to your comments and reports of any of your creations that were inspired by my exciting foray into carne picada!